The other day I saw something on Pinterest that said something like, "Until God opens the next door for you, praise Him in the hallway." Although it currently sort of feels less like I am waiting for Him to open the next door and more like He is just saying NO, repeatedly and emphatically... for some reason the imagery of Praising Him in the Hallway is really working for me right now. It has been my little prayer mantra for the past couple of days: Praising You in the Hallway, Praising You in the Hallway, Praising You in the Hallway. I'm in the Hallway right now, I get it. I do not want to be here, in this Hallway; I did not ask to be here, in this Hallway - in fact, I have begged and pleaded unceasingly to get the hell out of this Hallway - but nonetheless, here I am, and there is not a lot that I can do about it. Fine, then. Might as well embrace it. So I'm gonna camp out, settle in, get cozy, maybe throw up a few decorations, make this Hallway my space for as long as I'm here. I may not like this idea, no sir, not one little bit, but if this is where I am stuck, then I'm gonna go with it. I'm here regardless, so I can either be miserable in this Hallway, or I can start getting comfortable with the idea that this is the space I now inhabit and figure out how to make the best of it. This is not where I want to be - it is uncomfortable, it is uncertain, it is chaotic, it is even pretty dark at times. But I am tough; I am adaptable and I am resourceful. I will figure out how to be happy here. There is plenty of room for doing cartwheels down a Hallway. Anyway, for now, one of the benefits of being out here, in this drafty, uncomfortable Hallway, is that I do end up praying a lot more than usual. Like, a lot more. Sometimes I secretly suspect that God puts me here just to get me to pay attention to Him, the way a parent would put a small child in time-out. And what I am learning - the hard way, fighting and kicking and screaming - is that I am not in control. That my plans don't really mean all that much. And that, no matter how much I desire something, no matter how much I think I deserve something, no matter how desperately I want things to go according to my plan, it's just not up to me. I'm trying to get okay with that, and to learn to find peace and joy when what I want is control. I think it's possible, to have joy and to speak praise, even when all of the doors I can see are slammed shut. Even when the doors that I think matter the most are still locked tight anyway. I think there's a way to embrace this, to live fully and abundantly, despite my biggest fears. And I think that maybe this new little mantra I've found will very slowly help me get there. This, too, shall pass. For now? 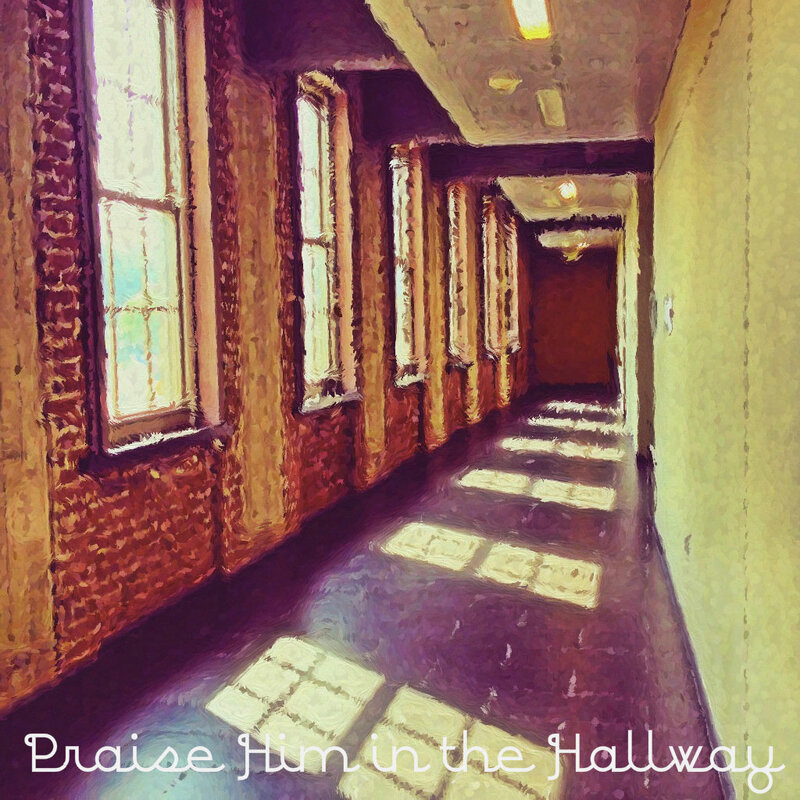 Praise Him in the Hallway. And to this I say amen. That is a good word, my friend. I don't think He does things by accident. What I love about this is that you already have a testimony and that's exactly what this was. I love this a lot. And I love you, sis!